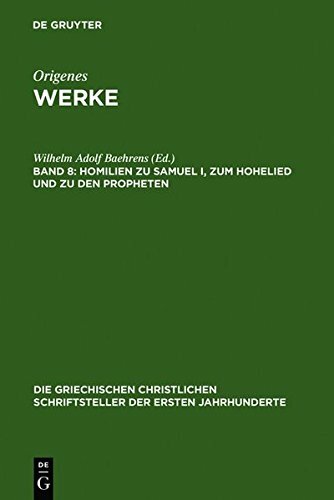 The series is devoted to Christian texts from the Greek-speaking parts of the ancient Roman Empire. Published since 1897 (first in Leipzig, then in Berlin) by the Royal Prussian Academy under the project Griechische Christliche Schriftsteller, which was continued by the Berlin-Brandenburg Academy, the series offers large critical editions accompanied by historical introductions and indices of those works that have not been included in other major editions. When complete, the series will provide complete coverage of the first three centuries.